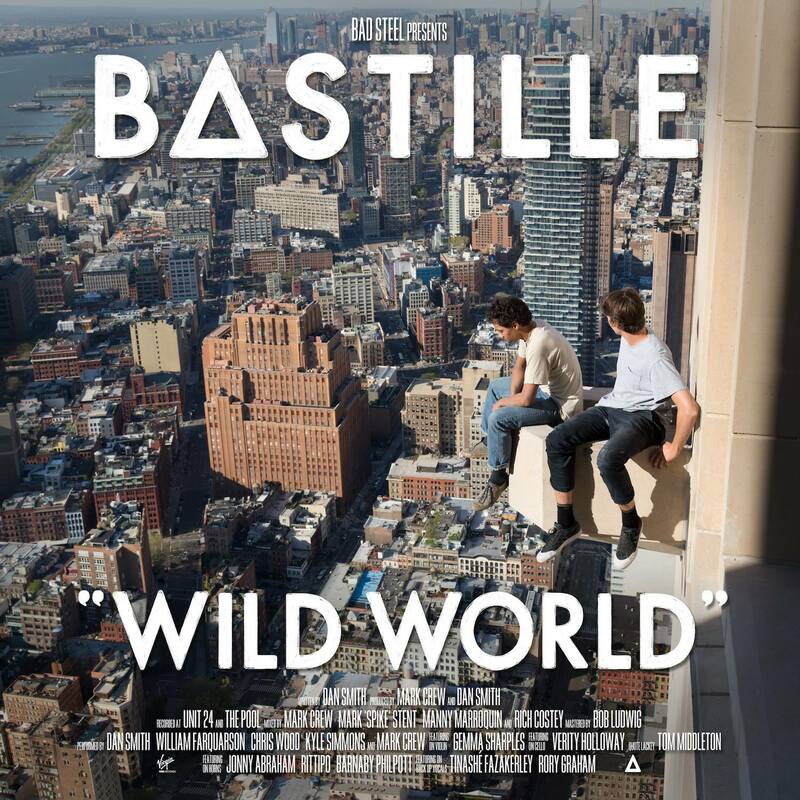 David gives his take on British indie outfit Bastille’s third long player in his Bastille ‘Wild World’ album review! Indie poppers Bastille have been working hard in the industry as a band since 2010 and their debut album ‘Bad Blood’ featured some fresh and innovative pop songs. This success saw the album re-released with several new tracks (also very good) and a tour that seemed to go on forever. Their second full-length player is now out there in the ether, but how does it fair? And what’s more, will it have the longevity of their debut? Grittier than their debut album, the initial observation is that the tracks are missing a lot of the hooks that made the band massively popular. ‘Wild World’ features a blend of genres, which adds variety but makes it hard to listen to end to end as an album. I can’t help but feel the great pop moments are a bit lost here. One of my major complaints is the over-use of sound bites. Featuring on what feels like every track, they are littered through the album and in my opinion, for no real reason. It means radio will require radio versions of most songs that could be singles and it could also be why ‘Good Grief’ hasn’t made much impact at radio. With 19 tracks on the “Complete Version”, it feels a bit bloated. All is not lost here though. There are still some excellent tracks to be found on ‘Wild World’ in the shape of songs like ‘Glory’ or ‘Four Walls’. Tracks like this progress Bastille’s sound far enough that it feels familiar yet modern. The beauty of Bastille’s music is that many people can tap into their tunes. If you enjoy pop, these tracks are laden with catchy melodies that get stuck in your head. If you’re a fan of rock music, the arrangements and lyrics play to that as well. I’ve always really liked Bastille and while there are good tracks, it just feels a bit too “one trick pony”. Heavy reliance on a gimmick -like sound bites is no way to grow and change. I didn’t want ‘Bad Blood Pt.3’ with this album but I expected something a bit more cutting edge than what was delivered. Thankfully there are still some great pop moments for me to make a playlist. MUST LISTEN : An Act of Kindness, Glory, Lethargy, Four Walls, Fake It, Winter Of Our Youth.